What Bethesda's newly-revealed Dishonored lacks in creative titling, it more than makes up for in development talent. To be frank, we don't know much about Dishonored. The game's existence was only established a few short hours ago with nary a screenshot or gameplay video to be seen. Really, we're all working off of a few hundred words courtesy Bethesda's PR email, but the info contained in that short missive is enough to make this upcoming action title very intriguing. The "first-person action game" is in development at Arkane Studios (developers of the highly underrated Arx Fatalis), under the direction of Arkane's Raphael Colantonio and Deus Ex lead designer Harvey Smith. 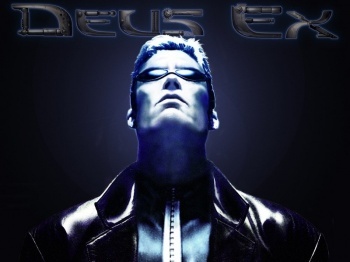 You know Deus Ex, right? It was a first-person shooter released in 2000 with heavy roleplaying game elements and myriad ways to complete every encounter. Most critics consider it the pinnacle of PC game design, and most scholars consider it the only reason people of my generation know any Latin. Dishonored is scheduled for release on the Xbox 360, PlayStation 3 and Windows platforms at some point in 2012. Unfortunately, until the August issue of Game Informer hits newsstands (in July, because print media is wacky) we're going to have to imagine exactly what sort of game might emerge from this creative collaboration. Fortunately however, that also gives the game's developers time to change that drab title. Might I suggest something in a dead language? "Mortifer Gero Pugnus," perhaps?